On historical grounds amidst tranquil landscaped gardens, Calvary Ryde Retirement Community offers permanent accommodation for more than 240 residents living residential care, respite accommodation and on-site Independent living units. Calvary Ryde Retirement Community is a friendly, close-knit community and home to residents of many cultures and backgrounds. Marian Residential Care is a 52 bed facility featuring single room accommodation with ensuites. There is an activity program five days a week for the resident’s enjoyment and an on-site kitchen brings delicious freshly cooked meals to the residents daily. Mary Potter Residential Care is a 63 bed facility inclusive of a 21 bed dementia specific wing. Residents are housed in a mixture of single, double and four-bed rooms, most with garden views. Dalton Gardens houses 126 independent living units & provides residents with a maintenance free, secure and relaxing lifestyle. Recreational activity officers who design individual and group activity programs aimed at encouraging enjoyment, rehabilitation and promotion of self-esteem. 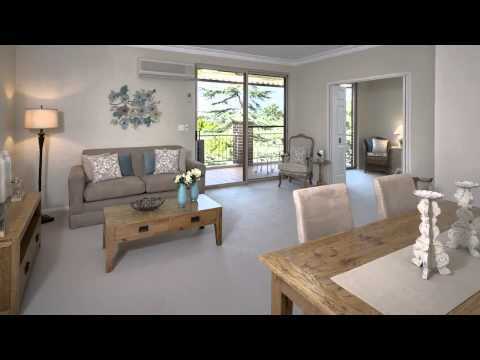 To enquire about living in Calvary Ryde Retirement Community, please free call 1800 222 000.